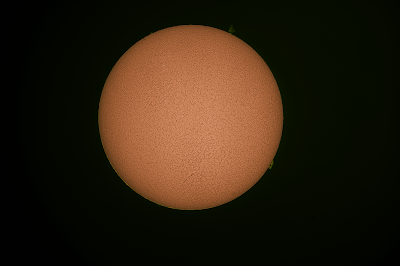 Imaged using a Hypercam 178M and Lunt 50 H-alpha solar telescope. Best 50% of 1000 frames for the disk and best 20% of 1000 for the prominence layer. Stacked in Autostakkert!2 and finished in Photoshop CC.Finally, a Gaussian sharpen to enhance detail. Click on the image to geta closer view.